This recipe has become a favourite. It is fairly simple to make and everyone who has tried it has loved it so far. Not the healthiest of desserts but definitely the tastiest. The graham crust was made using graham crust mixture (2 cups), 6 tablespoons of butter and 1/3 cup of marmalade. We lined the bottom of a spring form pan with the mixture and baked the crust for 15 minutes. As it was cooling we made the chocolate mixture in a saucepan by heating 2/3 cups of whipping cream and once it was simmering we added 6 ounces of bittersweet chocolate, 2 tablespoons of Grand Marnier and 1 table spoon of orange zest. Once the ingredients have properly mixed together, we poured it onto the crust and refrigerated it overnight. 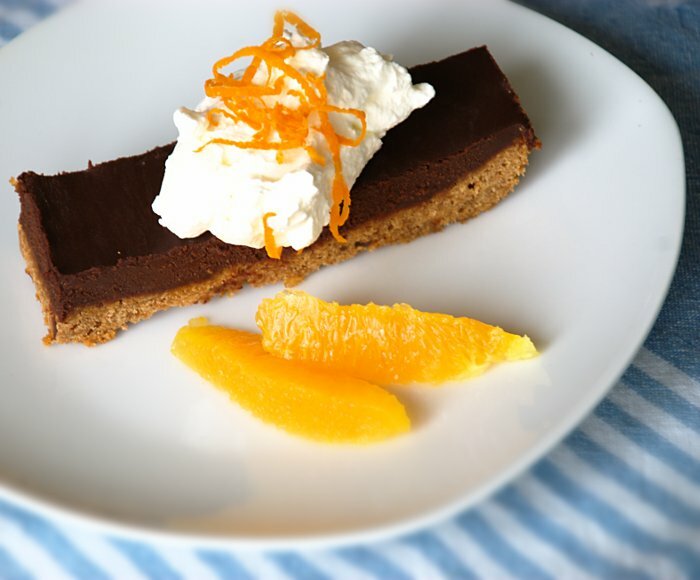 We served it with whipping cream and orange zest. We now use a lot of orange and lemon zest in many of our recipes. It adds so much flavour.